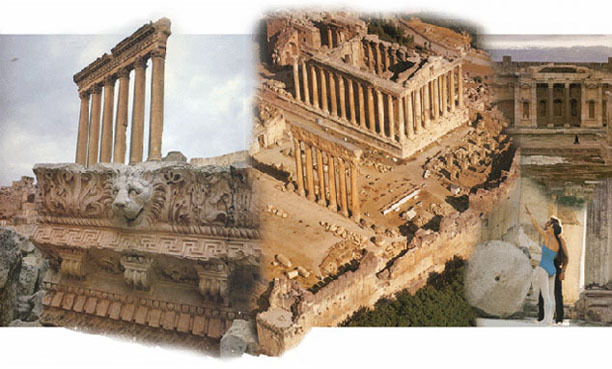 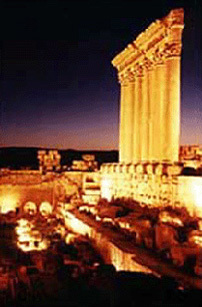 Baalbek is also known as the City of the Sun. 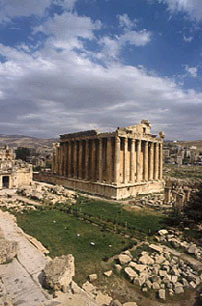 It is located in the beqaa valley (3000 ft above sea level) and holds some of the world's greatest historical and best preserved Roman sites. 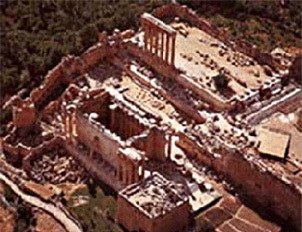 Its remains include a gigantic complex of Roman temples with the tallest columns ever erected. 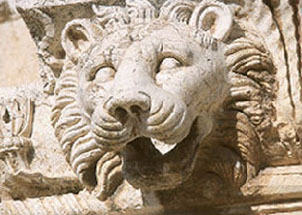 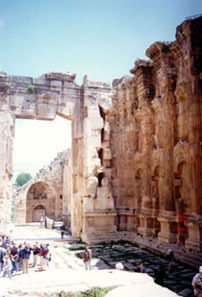 The Roman gods were worshipped in its Acropolis (constructed between 1st –3rd Century AD). 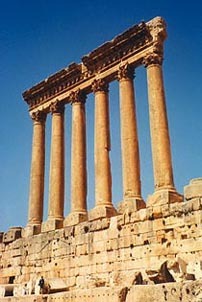 In Jupiter Temple, only six columns remain out of the 54 giant columns that originally surrounded the sanctuary. 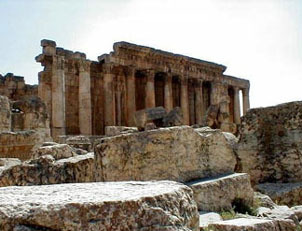 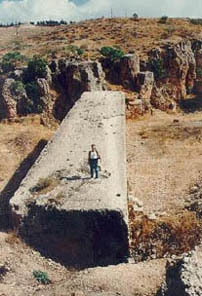 The temple was built over a Phoenician podium dating from around 3000 BC. 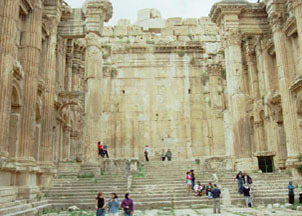 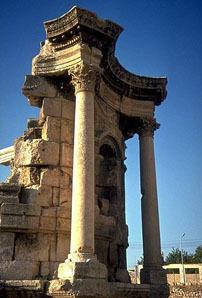 The city of Baalbeck has major remains from Islamic times including the Grand Mosque built by Omayyad Caliphs, with material borrowed from ancient monuments, and Mamluk mosque.